Psalms 102:1-10 NLTse LORD, hear my prayer! Listen to my plea! (2) Don’t turn away from me in my time of distress. Bend down to listen, and answer me quickly when I call to you. (3) For my days disappear like smoke, and my bones burn like red-hot coals. (4) My heart is sick, withered like grass, and I have lost my appetite. (5) Because of my groaning, I am reduced to skin and bones. (6) I am like an owl in the desert, like a little owl in a far-off wilderness. (7) I lie awake, lonely as a solitary bird on the roof. (8) My enemies taunt me day after day. They mock and curse me. (9) I eat ashes for food. My tears run down into my drink (10) because of your anger and wrath. For you have picked me up and thrown me out. I know talking to God may not be the most popular thing to do these days. Sure, a lot of people pray. This world has countless religions, the sad fact is, I think all of them claim to talk to God, but how many of them focus on listening to God? David is a prime example of a man who not only talked to God, he expected answers from God, and he listened. When we study David’s life, we see how David had a great faith in God as a boy. Then something happened after David spent time with Saul. David lost some of that faith and some of those communication skills. After leaving Saul, stories about David show how he had to relearn a lot of those communication skills with God. Lessons began with simple yes or no answers, then progressed to open communication with God. Later David decided to shut God out of his life, and made a few bad choices. When David went through his phases of making his own decisions, some of which were plainly against God’s laws, God had to send in a prophet to get David’s attention, and those communication skills back in gear. Some of the examples of David’s direct communication with God involved battles. Which brings us to a rather sad, but all too realistic subject to examine. If all the religions who claim to talk to God knew how to listen like David did, would we have all the wars and disagreements we see today? Let’s ask that question on another level, one we see in some of the stories about David. If any of the world’s one true religions (or so they claim) actually talked to God, wouldn’t we see something happening in this world that proved they are following God’s direct orders? Looking at that from one of the stories about David, we see how God sent David out against the Philistines. The Philistines basically stood against God, followed a fictitious pagan God, sacrificed to that god, built idols, and who knows what else they did wrong. David asked God if he should attack them. God handed the Philistines, and a number of other nations over to him. But God didn’t place those type of instructions anywhere in the Bible, in the Old, or the New Testament. To follow that type of thinking would then be a man made tradition, not instructions from the scriptures, and not communication with God the way it is taught in the scriptures. When God sent prophets to David, it was because he knew he was doing something against God’s plans, and David didn’t want to hear what God wanted to tell him concerning that particular subject. When God sent prophets to kings and nations, it was because those kings and nations acted contrary to God’s plans, and of course laws. God sent prophets when people didn’t want to listen to God. The main role of the prophet was to send people back to God, to reestablish communication with God. We don’t see any of God’s prophets sitting next to any king, ready to take a question from the king, relay it to God, get an answer, then inform the king what God said. We have a man made fallacy taught in many churches these days that is fairly close to that model. But that model is not from the Bible. I’m not about to say, if one religion actually listened to God, we would see them conquering the world. But what about the other side of scripture, the New Testament? Sure enough, in the New Testament we find a story about a carpenter’s son who caught the attention of the world. John the Baptist, the son of a priest also attracted a lot of national attention. The few people who followed Jesus received their share of attention from religious as well as political leaders. And the early Christians, all of them received more attention than they wanted. They were persecuted. Is that some form of New Testament proof, people listen to God? Christians have been persecuted from the beginning of Christianity, at least through the seventeenth century, and beyond. Of course other religions faced major persecution. Jews in World War 2, as well as other parts of history. Muslims, Buddhists, as well as other religions have been persecuted. Is there a religion in this world that has not been persecuted? What does persecution prove? Does it prove, people have forgotten how to listen to God? Does persecution prove, God has left this world to see what we will do when left to our own distorted imaginations? Is that why so many people, and so many religions shun any talk about listening to God? Is that the way this world is supposed to work, the LORD scanning this world, looking for a perfect person living a life of solitude to talk to? Then what happens to that message when God needs one delivered? Is this world supposed to be run by leaders, kings and presidents, other officials, who don’t listen to God? And if they did, the world would brand them insane. Do any of those leaders have a prophet on call, just in case a problem comes up that is too complicated for them to deal with? It seems when we enter the political arena any where in this world, there isn’t enough room for politicians and God. Why do they seem like opposing forces in this modern world? What about the great minds handling money, the economy, planning wars, weapons production, relief for the poor, decisions about marriage, abortions, civil rights, or any laws and regulations? When was the last time we heard any of them listening to God when they write and pass new laws? What about building new factories, strip mining, oil production, nuclear power, or dams to harness water? Does anyone bother to consult with God before spending millions of dollars on projects effecting the lives of millions of people? What is the standard today? When are we supposed to ask God for advice? What role does God play in planning anything that happens in this world? And to one extent or another, almost every country in this world claims to follow one form of religion or another, or claims to stand up for religious liberty. What kind of religious liberties do we have when God doesn’t have a voice in any issues? Is that liberty, or is that a form of religious slavery pointing us all the way back to Egypt? Most of us have seen times we can’t help but fall into God’s hands, lay ourselves on His mercy, and pray. I was in that position when I went through a divorce. David’s words in the introduction of this prayer in Psalm 102 don’t begin to describe the hell I found myself in. When I went through my divorce, I prayed like crazy. You know the feeling. You can’t stop thinking about the problem from the moment you wake up, and falling to sleep is impossible. I was blessed with a core of some of the greatest counselors God could have placed in my life. They all gave me the same advice. They told me to get out of the marriage. I was persistent to say the least. I prayed to God with a thousand plans to save the marriage. I stuck to my guns and dug my heals in the ground like never before. I knew what I wanted and wasn’t about to let go. I finally had to admit, I was talking to God all the time, but NOT listening. I prayed, but it was on a one way street to no where. Finally God spoke to me in a clear and distinct voice I couldn’t help but hear. God told me, He was preparing the perfect wife for me. In an instant God flashed a series of events in front of my eyes showing each warning He sent me in perfect order. I knew, only God could do that. I felt ashamed. God sent me warnings I ignored, because I was in love, and believed, love conquered all. Was I wrong. How many times do we pray and not listen? I know I have a problem listening. Force of habit wants me to drop off a list at God’s throne and see what happens. Then wonder why things didn’t work out as planned. Another problem seems to be, forgetting to pray about one or two details. It seems Israel left Egypt with all the tools and materials to cast metals, saw and carve wood, and of course, looms to make curtains. 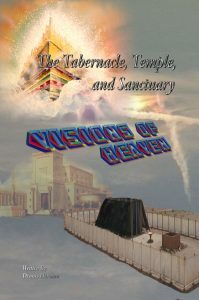 Israel had to carry tons of stuff to manufacture the Tabernacle in the Middle of the wilderness. Of coarse God had to camp them in a place with the right trees to provide the right type of wood, lots of other wood for fires to melt the metals, the right type of sand to mold the metals, and of course water, land and grass for the cattle, and an endless list of other things required to live, as well as fabricate the Tabernacle. God had to make sure everything was either carried from Egypt, or supplied by the land around them. Israel didn’t have a hardware store to run to. Israel had to listen to God to know what to bring. There was a lot more than gold, silver, and brass to carry out of Egypt. In a way that story shows how to tell a person who can understand parables from another who can’t see the spiritual side of a story. When we take our time to read the story, the Spirit fills us in on details that are logical, but not recorded. When we do a quick reading with no other thought involved, we don’t invite the Spirit in, and wind up missing most of the lessons in the story. God knew Israelites had to work when they arrived at the promised land. The Tabernacle was a tool that also told us what was required to build it, and establish an economy in the new promised land. The promised land was not a place to sit around, and expect everything to be sitting outside your door in the morning. Israel was required to use the skills, as well as tools God gave them. Work is a team effort between people and God.